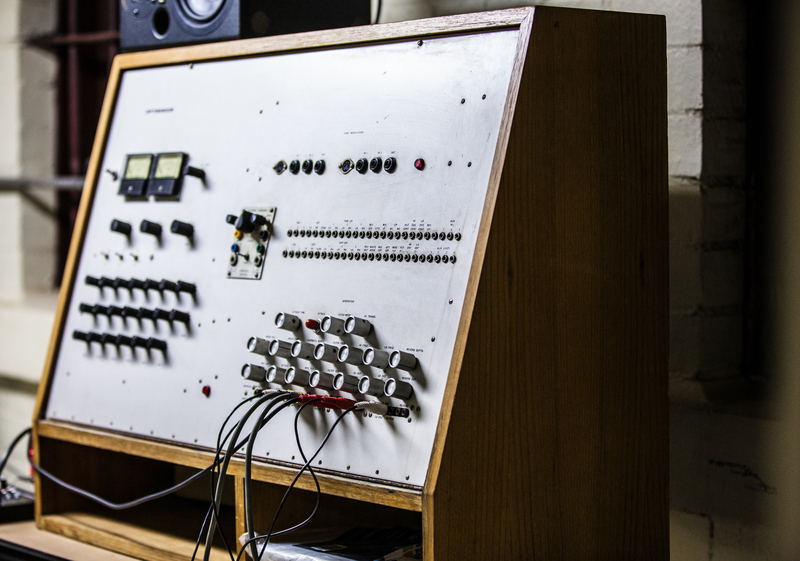 Take a trip back into analogue sound and style with performances from post-punk icon and electronic experimental composer David Chesworth and OK EG at the Grainger Museum on Thursday 23rd August at 7pm. In collaboration with the Grainger Museum, Liquid Architecture and Melbourne Electronic Sound Studio (MESS), Nite Art presents ‘Current Transmissions: David Chesworth and OK EG’. The night’s program, curated by Liquid Architecture, features David Chesworth performing in full his highly regarded and rarely performed 50 Synthesizer Greats album, released in 1978, and a newly commissioned work by OK EG performed on MESS’ 1971 collection – one of the most historically significant collections of electronic instruments in the world. This public program explores the fertile electronic scene in Australia from past and present with David Chesworth and OK EG. Chesworth’s performance features a contemporary edit to his highly influential 1978 album, which includes post-production effects to videos form 50 Synthesiser Greats, combining audio and video synthesiser works in unique montages made on the EMS spectre synthesiser. OK EG is a Melbourne based project from producers Lauren Squire and Matthew Wilson, creating hypnotic polyrhythms and lush ambience by combining experimental music and visual art. The duo has appeared at world-famous Hobart festival Dark Mofo and had their art mastered by Italian techno legend Neel. The performances at this event feature key instruments on loan from MESS and the Museum of Applied Arts and Sciences, including the ultra rare EMS VCS-1 – one of three in the world – an EMS VCS-3 – used by Pink Floyd, Brian Eno and Jean-Michel Jarre – an EMS Spectre video synth and the cutting-edge video art it produced (including David Chesworth’s 50 Synthesizer Greats). ‘Current Transmissions’ is a continuation of Nite Art’s public programs that connect and engage, new and broader audiences with artists in Melbourne’s creative spaces.